Paperback, 12 x 14.5 in. / 92 pgs / 39 color. Poem by Maureen N. McLane. Bill Jacobson: Place (Series) showcases the celebrated photographer's newest body of work, which he describes as "the result of inserting rectangles of various sizes and surfaces in both constructed and natural settings … the work questions what is 'real' and what is 'abstract,' while suggesting that the creation of places … comes from choice and desire." 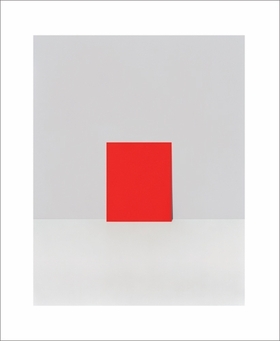 Jacobson (born 1955) creates work that speaks to the artificial geometric constructs that dominate even supposedly natural photography; a photographer, we are reminded through these visibly curated images, is always creating the subject of his photograph. Place (Series), while visually abstract, touches on something quite human in its exploration of the impulse to construct space, image and the world around us. 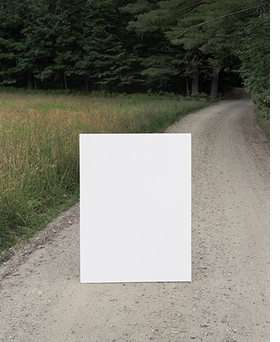 Featured image is reproduced from Bill Jacobson: Place (Series). FORMAT: Pbk, 12 x 14.5 in. / 92 pgs / 39 color.